Was in Madison on Business. Went walking in old town, and saw this on the side of a building.. 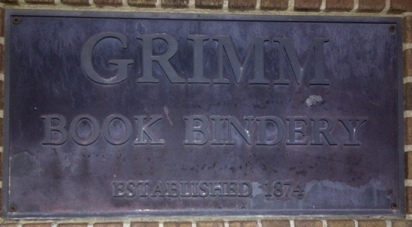 It was also during the time I was obsessed with the TV show Grimm. 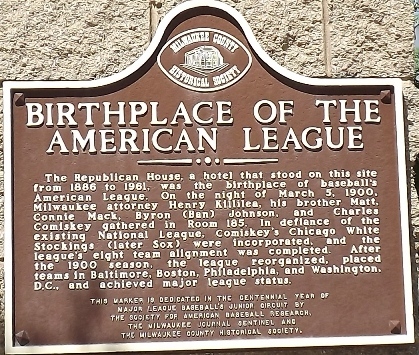 I stayed at a hotel at 333 W. Kilbourn Avenue in downtown Milwaukee. 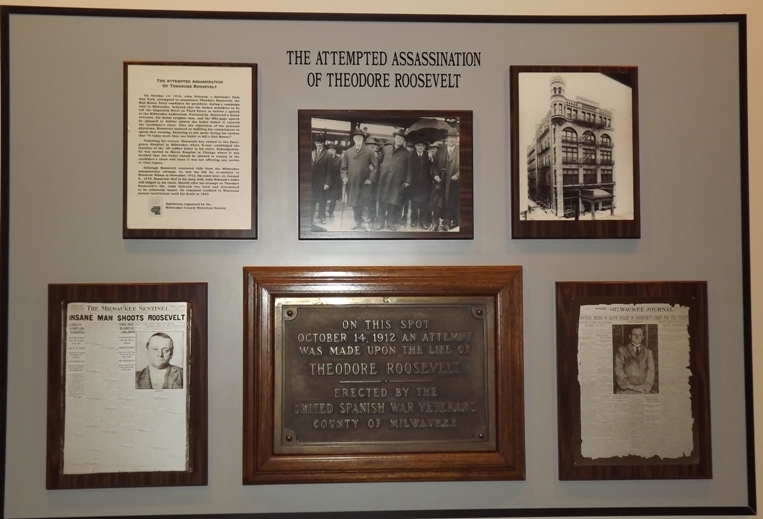 At one of the doors, there was this - apparently someone attempted to assassinate Teddy Roosevelt at that location. He was saved by his overcoat, eyeglass case and a 50 page speech, which he continued on to deliver before he would be finally taken to the hospital. 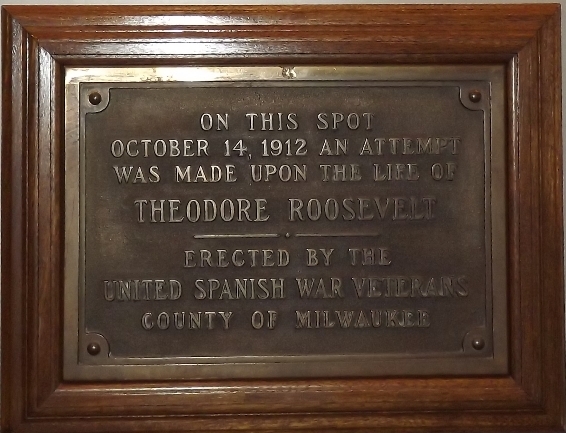 The bullet was never removed, because of its location in his chest..
Not far from my hotel, walking to the shuttle to take to the baseball park, was this plaque.